Dusan Bulut, aka Mr. Bullutproof, is the world’s best three-on-three basketball player. Introducing Serbia’s Dusan Bulut, a five-time world champion and the favorite to win gold in the 2020 Olympics. 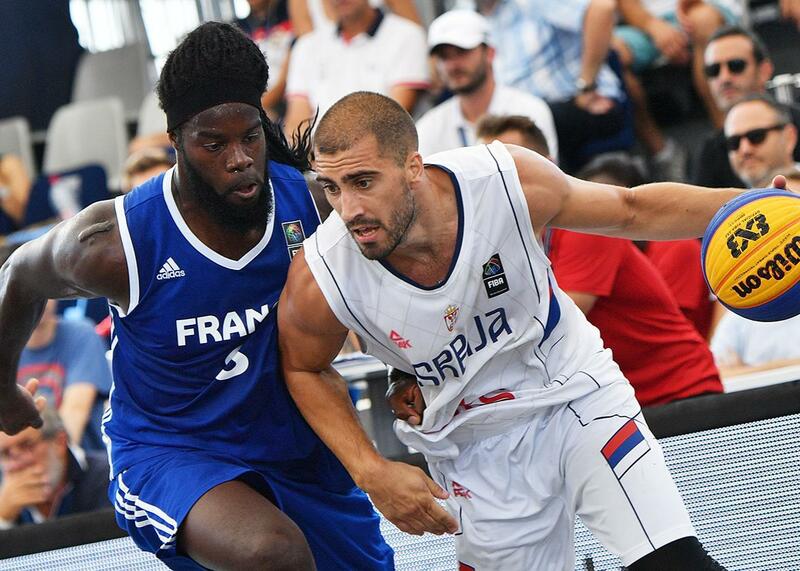 France’s Dominique Gentil (left) challenges Serbia’s Dusan Bulut for the ball during their world championships 3X3 basketball semifinal match in Nantes, France, on June 21. Growing up in Novi Sad, Serbia, Dusan Domovic Bulut fantasized about hitting a game-winning shot in the NBA. The point guard would watch old games on well-worn VHS tapes, figuring out how to mimic the moves of Allen Iverson and Jay Williams. In his dreams, he’d add his own personal twist to Iverson’s crossover, tossing in a brief hesitation to make his defender stand up before driving past him or rising up for a game-winning jumper. Bulut never made it to the NBA, but his career hasn’t been anything close to a failure. The 32-year-old Serbian, the best three-on-three basketball player in the world, is living out his dreams on a different stage. In last year’s FIBA World Cup final, he squared up against the United States’ Myke Henry. Deep beyond the three-point line on the right wing, the 6-foot-3 Bulut froze the taller defender, pivoted off his left leg, and skied into the air. His long three splashed the net. Bulut and Serbia were the champions of the world. Bulut has spent much of 2017 as FIBA’s top-ranked three-on-three player, an algorithmic honor that measures points scored as well as game results. Although he dropped to the fourth spot in the rankings after suffering an ankle injury, he remains the best offensive player in FIBA three-on-three. As adept at shooting threes as he is attacking off the dribble, Bulut’s strength and size enable him to bully past defenders and get to the rim. Opponents also can’t afford to help and double Bulut. His Serbian team boasts multifaceted three-point marksmen Marko Zdero and Dejan Majstorovic (No. 1 in the FIBA rankings) as well as Marko Savic (No. 2), a burly do-it-all 6-foot-5 forward who’s something like the Serbian Draymond Green. 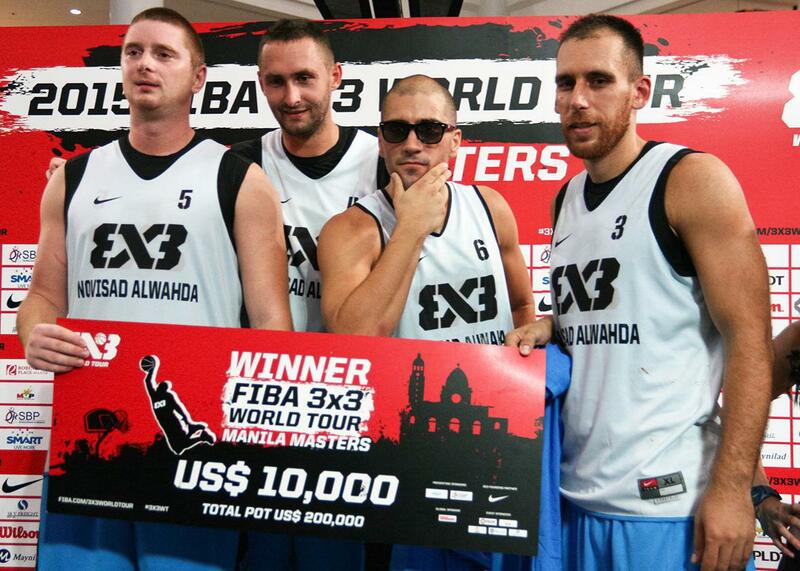 Team Novi Sad Al Wahda pose after winning the Manila leg of the FIBA 3X3 competition against Team Manila North in the Philippines in 2015. The foursome are the biggest fish in the still small-ish pond of international three-on-three basketball. “They play such a cerebral brand of basketball, and they’ll put you on a table and dissect you,” says Kyle Montgomery, who announces games for FIBA. Novi Sad, though, isn’t destroying the competition by running the picket fence. Two times in recent months, Bulut—whose FIBA-approved nickname is Mr. BullutProof—has embarrassed opponents with a move of his own creation: the Shammgod nutmeg. Although Bulut and his teammates have mostly triumphed in obscurity, they’ll soon have the chance to win a gold medal. Three-on-three basketball—FIBA styles it as 3x3—will debut as an Olympic sport in 2020. Serbia’s quartet, all of whom are in their 30s, will likely be considered the favorites to stand at the top of the podium in Tokyo, assuming LeBron James, Steph Curry, and Kevin Durant choose not to team up. Although Rogers is in contact with USA Basketball, he says he has no idea what the process to qualify for the 2020 Games will be. “My hope is players will find their own teammates and those that compete are chosen based on how they’ve done in all the tournaments during the year,” says Rogers, essentially describing how the FIBA system works stateside today. On the court, FIBA’s three-on-three rules dictate that each possession lasts 12 seconds, and the ball must be cleared beyond the three-point line regardless of a make, miss, or turnover. A game lasts until a team reaches 21 points or 10 minutes have elapsed. For players coming from the full-court game, the most difficult adjustment is getting used to the basketball itself, which is the size of a women’s ball but weighted like a men’s one. There’s also the fouling. “If you played as rough on any playground in the United States as you can in FIBA three-on-three, someone would get arrested for assault,” says Craig Moore, who suits up for Rogers’ Ariel Investments squad. The world’s top player learned the game alongside his teammates Savic and Zdero in a neighborhood of Novi Sad known as the Bronx. “We would collect money to pay for the net as kids but then get kicked off the court by old players,” Savic told Vice Sports in a 2015 video feature. From the moment they stepped on their local courts as teenagers, the Serbians immersed themselves in what makes a successful 3x3 team. “That was how I made pocket money in the summer,” says Bulut. Fresh off playing in a Red Bull–sponsored one-on-one tournament at Alcatraz in 2011, he learned FIBA was set to sponsor a three-on-three tournament the following year. He got the old gang back together, and the team’s familiarity and style of play, predicated on ball movement, spacing, and perimeter shooting, has taken them to the top of their sport.